Another installment of the highly popular personal growth quotes. Enjoy! As this is a site for women written by a woman, I felt this was very relevant to us. Everyone has differing opinions on Oprah but this quote really spoke to me. I tell my girls that they are princesses and to always act like a princess would. I am the queen of my home and everyone in this home knows it. That means that seeming failure is not the end unless I choose to stop moving forward. 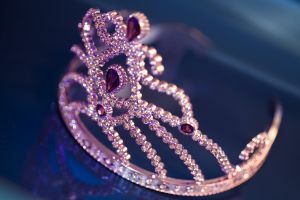 Whether I get things wrong or not, that does not take away from me my birthright which is to be a queen. This applies to all of us women, we were born for greatness but at times we have allowed our voices to be shut down. We choose if we will be silenced and cowed or if we will choose not to hear anything that puts us down and in the midst of adversity, we choose whether we will remember who we are. Mistakes made are just part of the path to greatness. This applies in all aspects of our life, regardless of what we are doing – a stay at home mum, a go to work mum, a business mum, a mum with ill health, whatever you are. Nothing is permanent, blips happen but they ARE a steppingstone to greatness. Decide what you want and Do not stop trying! There are times when we feel overwhelmed by all the things we would like to do, all the things we should do and if you are anything like most people, the tendency is to do nothing and hope it all goes away. The truth is we can do one thing at a time and soon enough we will accomplish everything we need to. Helen Keller, the lady who wrote the above quote was severely challenged with deafness and blindness. Yet, she picked up on the truth that we all can do just a little. I have heard it said that the way to eat an elephant is one bite at a time. It is also the way to deal with any situation we face. This is very very true. Most times, because we cannot see how doing something would actually make a difference in the short term, we decide not to bother. However, doing that one little thing may not make an immediate noticeable difference, but doing it consistently over time could make a world of difference. Lives can be changed just by doing one little thing different everyday. Another truth to consider is that if you choose not to do anything different today, you will just be the same person you have always been in a year and the only change will be in your age and your amount of regret. Just imagine, you are able to change one habit now, in a year, you could be a completely different person with a different outlook on life. A lot more use to the world at large is a woman who knows who she is and who is growing consistently and knows what she wants out of life. Come on ladies, let us step out in courage. I have recently discovered this great amazing resource called the Ultimate Life company. I cannot praise it enough. There are loads and loads of empowering webinars and audio products dealing with various parts of your life such as parenting, mindset, wealth etc. I personally joined because I love to listen to empowering material regularly – It makes such a difference to each day, especially when starting out with something new. I have nothing but praise for the material the ULC provides. Why not take a look (Click here) and see – There is a 2 week trial which gives you access to all their material. Amazing! To end this post, I would love for you to either follow me on one of the sites listed on the top right of this page or fill in the box to subscribe to the site. It allows me to stay in contact with you and there is a monthly newsletter with great material to inspire and challenge coming up. If you have any queries or need advice, please do send through a comment. I would love to get your feedback. Good day very nice website! !I will bookmark your blog and take the feeds also. thanks for sharing. . .